Do you know who has registered against you? Are people registering against you who shouldn’t be? I was recently acting on a sale of business and did a search of the Personal Property Security Register or ‘PPSR’ to make sure that the vendor was able to sell all of the business items without any mortgage or ‘charge’ over them. 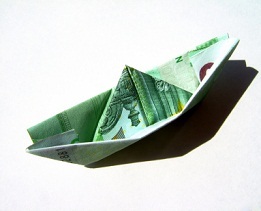 I was surprised to find that there was a charge by a finance company, over a boat, registered on the PPSR that had been in place prior to the PPSR commencing on 30 January 2012. The charge over the boat presented quite a few problems (I’ll get to those soon) and the time I spent waiting to speak to someone at the finance company meant I thought a lot about the PPSR. I started to think, if a large finance company can get something wrong, could there be other registrations out there that could cause significant problems for our clients? While undertaking some work for a different client, which also related to personal property, I carried out a search and found that they had three registrations on the PPSR against them. They told me that they knew about one of them as they had received notice about it, in accordance with the PPSR requirements. The problem was, however, that they had not received notice about the other two registrations, and therefore had no idea that they existed. These registrations were from suppliers to our client for goods supplied on credit. Now, back to the boat. Prior to the PPSR commencing, a fixed charge was registered with ASIC and registered at REVS. When the PPSR started, the fixed charge and REVS registration were moved onto the PPSR, but some changes occurred in the registration. Even though the boat was not included in the sale of the business, the registration on the PPSR affected the sale, because the finance company had registered on the PPSR over ‘all present and after acquired property’ of the vendor. As a result, the vendor could not sell his other items unencumbered or free from any mortgage or charge, as they were caught by the ‘add on’ that the finance company had included for ‘all present and after acquired property’. The finance company had no authority to do what they had done, and they eventually changed the registration, but it took a number of lengthy phone calls to get them to fix it. The sale was delayed by over a week. If a registration on the PPSR is incorrect, such as our client’s boat example above, it may not be enforceable. But even if it is not enforceable, it will still be difficult to get fixed or removed and it takes time, which can lead to significant problems for your business. In addition, if your business was the supplier of the boat, and your registration was incorrect, you may have lost all priority over the proceeds of sale of that boat if the purchaser owed you money and defaulted. Remember, the PPSR is not just about boats, it also includes goods supplied on credit or funds advanced with personal property as the security. Without a registration on the PPSR, retention of title provisions do not work in the manner that a supplier would want them to work and other security agreements may lose their effectiveness. If you are worried about whether people have registered against you or your business on the PPSR, give us a call. We can give your business a PPSR health check for a fixed fee. Express your interest here and a team member will be in contact with you. We can also assist you with protecting goods that you supply on credit. For further information, contact the Commercial Business & Property Team.